Itâ€™s fun being in this businessâ€”there are so many new, shiny technologies and techniques cropping up all the time. A cool new Rails-based CMS? Awesome! 3D trickery with CSS3? Even more awesome! 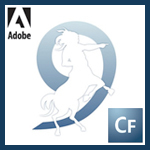 An update for ColdFusion? Yeah, Iâ€™ll confess I initially found it hard to get excited about ColdFusion. It seemed to be all the rage in enterprise some years ago, but now that all the cool kids have jumped on board with PHP, Rails, or even (gasp!) ASP.NET, Iâ€™d kind of forgotten about poor old ColdFusionâ€”until our latest article, Whatâ€™s New in ColdFusion 9, crossed our desks. There have been strong improvements to PDF and spreadsheet handling, object relational mapping (ORM) built right in, tight integration with Flex, new and improved Ajax features, and a brand new, Eclipse-powered ColdFusion IDE. Donâ€™t look now, but I think you might actually be able to build something neat with all that. Iâ€™m sorry I ever doubted you, ColdFusion; you actually seem kind of cool. Youâ€™ll find a good overview of whatâ€™s new in CF9 in the article. Thereâ€™s a quiz at the end to test your knowledge, and a free ColdFusion evangelism kit for the first 200 people who register their detailsâ€”perfect if you need to convince your boss to give ColdFusion a try. Check out the article and take the quiz! Raena Jackson Armitage is an Australian web developer with a background in content management, public speaking, and training. When she is not thinking about the Web, she loves knitting, gaming, all-day breakfasts, and cycling.